This is why I love the internet, really. Anyway, for the fourth year in a row, I’m going to lie to you. Specifically about the sales of books, and more specifically about the sales of books through the book market. Each week, BookScan generates a series of reports detailing the specific sales to consumers through its client stores. The category we are most interested in is “adult fiction overall graphic novels”. Provided here is the BookScan report from the last week of 2006. There is one very important change in reporting methodology that you should note. I don’t get BookScan week by week, Instead, I rely on my Legion Of Well Trained Spies to get me a copy once a year. In past years, the report that I got was of the top sellers for the last week of the year. This provided a very close approximation of what the year’s best sellers were, but there was always a chance that some books slipped through the cracks by not happening to sell enough copies that week to make the chart. This year, however, I have the actual year end chart. The effective difference for a casual chart reader is probably very little, but please bear it in mind when comparing this year’s report to the previous ones. Any analysis I can make of comparative growth is going to be off by some factor, possibly a significant one. The biggest and most obvious difference will be in the lower ends of the chart. This year, the “worst selling” book clears 4700 copies. In previous years there would be 200 or more items that didn’t have YTD sales in that amount. Frankly, I haven’t bothered to ask BookScan for a client list every year, so it is likely that the number or volume of stores has changed significantly since 2003. I’m also going to continue to assume that the Publisher’s Weekly article is still accurate to the extent that these numbers are unreported by some potentially significant degree, and don’t, in any way, represent all “book stores” selling comic book material. There’s also a certain amount of miscategorization going on. As an example, like last year, every volume of Love Hina makes the chart, except for volume 2. In the Great Big Database there’s apparently an error and Love Hina volume 2 isn’t listed as a “graphic novel”. Conversely, a few prose books always sneak on to the list – Bloody Crown of Conan makes its third annual appearance as a not-comic. Really, what I’m trying to get across to you is that this really is potentially unreliable data in terms of the absolute and total number of books sold, and is only able to give the broadest outline of what’s happening in book stores. I still think that’s better than having NO information, so I persevere in writing this each year. The sum of the Top 750 in 2006 is 8,395,195 pieces for a total of $90,411,902 at full retail. However, the nearly 20% of growth in both is absolutely overstated because of the difference in reporting methodologies between 2005 and 2006. Basically, the difference between the sum of the bottom 200 in 2005 and the sum of the bottom 200 in 2006 is nearly 600,000 pieces and $6 million. There’s really nothing to do but guess (since I’m not so good with them fancy maths – I’m sure John Jackson Miller could tell me what the growth was statistically likely to be! ), and estimate that growth was probably closer to 10-12%. Still excellent, but not as stunning as that chart would indicate. 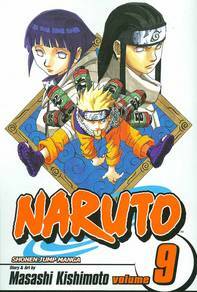 The book selling the most pieces in 2006 was Naruto volume 9 with an amazing 101,457 copies sold. Over 100k, wow! In fact, it was Naruto’s year, with its first 11 volumes taking 11 of the top 12 spots. In terms of gross dollars, 2006’s #1 book was V For Vendetta, selling nearly $1.6 million (!!) dollars of copies. Last year’s quantity winner was Full Metal Alchemist v1 with 67,781 copies sold. In 2006, FMA v1 sold 39k copies. Last year’s dollar winner was Sin City v1, at $857,659. This year, Sin City v1 sold $143,548. Naruto v9 sold about 150% of last year’s top seller; V For Vendetta did nearly 200% the dollars of last year’s top seller. In 2006, “Humor” books, the traditional pre-y2k owner of the sales charts, place 34 titles on the Top 750 chart. These titles represent 357,424 units with a total retail of $5,060,097. For some comparative history, check the chart below. The downwards trend continues, though we only lose one title from the number of placing titles. Perhaps more significantly, the average unit sale works out to 10,512 copies, while in 2005 in was over 12k. That’s a pretty poor showing for this year. Included in the “evergreen” pile are 7 Calvin & Hobbes titles, 7 Simpsons comics, 3 Foxtrot books, and 2 each of Boondocks and Far Side. Of those, only Boondocks posts any sort of a gain against the previous year, but most titles kept 75% or better of the previous year’s sales. The #1 “humor” book for 2006 is The Rejection Collection: Cartoons You Never Saw, and Never Will See, in The New Yorker with a total of 29,579 copies sold (for $678,838 at full retail) – that’s only about 78% of 2005’s best-seller, The Book of Bunny Suicides, which comes in at #2 this year. Again, the Simpsons are the unsung hero here – 11 of the 34 top placing Humor titles for 2006 are Simpsons, or Simpsons-related. There’s well more than a million dollars a year in publishing Simpsons comics, which puts the brand at about 1.2% of this years gross totals of the chart. Again, Bongo is one of those publishers you just don’t hear much about (and who has spotty penetration in the Direct Market), but they’re a significant player in the bookstores. Like every year, Bill Watterson and Calvin & Hobbes does very well – 7 titles chart, just like every year that I’ve been looking at this, and this year they generate a little more than $1.2 million in revenue. And there hasn’t been a new strip in over a decade! All in all, another year of the “usual suspects” in the humor category, with nothing new coming along to displace the regular and hoary contenders in the category. With the category continuing to shrink, and no new voices really coming in, I think this speaks more to the state of traditional cartooning in 2006 America more than anything else. The category killer, to be sure. In 2006, Manga dominates with 575 spots on the charts for 6,705,624 pieces, and $61,097,050 in retail dollars. Just to get a little meta here, last year several manga-related blogs copied out this section (and just this section) of the report. If you’re reading this in a report not on Newsarama, I strongly urge you to go to the source link (MATT: Put a link to the URL for the column [not the chart] here, please!) and read the preamble to this article – several facts about reporting methodology have changed this year! Interestingly, the raw number of titles placing on the charts dropped this year for the first time – manga is only 77% of all titles list, not last year’s 80% — but the unit sales and dollar sales are both strongly up. Now, given the difference in reporting methodologies, a decent chunk of that growth is actually from “bottom 200” titles posting better numbers. It’s really hard to precisely calculate what the difference would be using the old reporting method. Either way, it seems to me that manga, while still growing, is no longer doing so as “explosively” as it once did. Nearly a 40% unit growth from ’03 to ’04, 22% from ’04 to ’05, and about 20% from ’05 to ’06. Factor in the differences in reporting methodologies, and it’s probably under 13% growth in 2006. Really, my supposition won’t be properly tested until next year’s figures, but I think we might be reaching a plateau for manga sales where the category becomes “mature”, and a more reasonable 5-8% growth a year is what’s to be expected. The winner of the year, unquestionably, is Naruto. With 12 volumes now released, Naruto is positions #1-11 on the manga sales charts, and the only reason it isn’t #1-12 is because v12 was released in December, so only managed to make it #16 because it had only one month of sales data. The 12 volumes of Naruto combined equal 917,115 pieces, or 13.6% of the total charted manga on this year’s list. Naruto is 10.9% of all BookScan GN sales for the year’s chart, for that matter! That’s both awe-inspiring, and slightly scary. Again, like last year what we’re seeing is that entire series are charting – there are 28 different volumes of Rurouni Kenshin on the charts, to pick the most lopsided example. In fact, this phenomenon has gotten more pronounced than last year. While there are 575 “manga” titles that I identified, it only represents 140 different properties in 2006. (Last year, in 2005, it was 594 titles representing 165 properties) Because rack space is not infinite, more popular series definitely seem to be squeezing less popular series out. Further, “entire series” extends back through the “evergreens”, as well – every volume of both Love Hina and Chobits have made the chart every year for the past 4 years, all without any new releases, or any new promotion or publicity. To be sure, most of the manga “evergreens” have numbers sliding faster, than the other categories. While Calvin & Hobbes or Sandman stay relatively the same, year-to-year, we’re seeing big drops on much of the long-term manga titles. Love Hina v1, for example, sold 31,290 copies in 2003, 20,830 in 2004, 16,697 in 2005 and “only” 12,203 copies in 2006. Still, there are brand-new, heavily marketed books that would be very pleased to sell 12k copies in their opening frame, let alone years later! There isn’t always a slide, either – look at Naruto v1’s climb over the years: 29,805 in 2003, 38,260 in 2004, 61,920 in 2005, and a whopping 96,651 in 2006. In following this for four years, we have a list of 56 manga titles that have been on each and every list since 2003. That’s an amazing percentage of the 750 titles we regularly look at, and that’s a lot more “legs” on many series then I ever would have predicted. Maybe we can break down the entire manga chart by publisher. Viz takes 327 of the 575 spots, making them #1 with a bullet. Viz charted 4.1 million pieces, for nearly $36 million. Right now, they’re the clear elephant in the room, and they’ve done it solely by translated manga, with no “OEL” (Original English Language) titles at all. 57% of all manga charted by BookScan is Viz’s, and they are almost 44% of all TPs shown, which is astonishing for any publisher. Viz’s mean “average” title sold 12,731 copies per book. Their median title sold 7356 copies. Tokyopop is the #2 manga publisher, with 155 titles charting – that includes their OEL, as well as their licensed books like Cars and Spongebob Squarepants. Subtracting those, there’d only be 141 “actually manga” titles charting. I’m including everything however, and Tpop brings in 1.7 million pieces, $16.7 million retail dollars. Viz’s lead against Tpop surged ahead this year, as Tpop doesn’t even do half of Viz’s business. Quite the dramatic change from 2004 (where Tpop led Viz 265 to 174). Still, don’t feel too bad for them – Tokyopop is still taking 27% of the manga volume that BookScan shows. Their mean average is 11,244 copies sold, while their median title did 7486 copies. Tokyopop’s best-selling title is Fruits Basket v13 with an excellent 54,465 copies sold in 2006, with Kingdom Hearts v2 right behind with 52,212 copies. Coming in at #3 is Del Rey, with 41 books charting, for 431,467 pieces and $4.7 million retail dollars. Mean average of 10,523, median of 8,273. Del Rey has fewer “big hits”, but they’ve got a much stronger line consistency then their two largest rivals. Their best selling title in 2006 was Tsubasa v8 with 23,206, while Negima v9 is only inches behind at 22,885. And the #5 publisher is ADV, placing just 10 titles for 71,093 copies and $710k retail dollars – mean of 7109, and median of 6876. The rest of the publishers that chart – DMP (8), Ice Kunion, Go! and DC (3ea), and Bandai and Brocolli (2 ea) – combine for 21 titles sold. The only thing in that batch that I would consider a real success (over 10k) is Megatokyo v4 from DC which, with sales of 16,331, nearly triple DC’s next closest from-Japan title. It might also be worth noting that the combined volume of publishers #3-9 doesn’t even come close to matching the volume of Tokyopop alone. Viz and Tokyopop combined represent 482 of the 575 (84%) of all manga titles listed – that’s up from 83% last year. And if you look at it in terms of pieces it is even worse: 2 publishers represent 5.8 million pieces of 6.1 million for the category – that’s 95%! And people say the Direct Market is lopsided! Looking at things more generally, manga represents 4 of the Top 5, 19 of the Top 20, 44 of the Top 50, and 84 of the Top 100 for 2006. There are 13 manga titles that sold over 50k units – last year that was only 4. There are 67 that sold over 20k – up from 56 in 2005. Thanks to the change in what this report is, only 37 have sales below 5k, but don’t compare that to 2005’s 184, since that was pretty garbage analysis. Taking a look at OEL, there are, like last year, 13 OEL titles: Four volumes of Megatokyo (v1 5683, v2 4912, v3 5918, v4 16,331), Return to Labyrinth (8761), two volumes of Warcraft (v1 14,021, v2 19,174), and two volumes each of Bizenghast (v1 5930, v2 6396), Dramacon (v1 8056, v2 9604) and I Luv Halloween (v1 6068, v2 5537) – those last three are all up a chunk from their 2005 numbers, and all are clearly profitable books at this point. Courtney Love’s Princess AI, which last year did (v1 9862, v2 12988) failed to chart in 2006. 2006 was a very good year in the bookstores for DC. They placed 59 titles in the Top 750, with total unit sales of 551,160, and $10,246,082 in retail dollar sales. That’s a fairly massive gain from the year before, as you can see. DC is very much helped by the sales of V For Vendetta – the only non-manga title to crack the Top 5 in sales (or the Top 20, for that matter), bringing in 79,907. It is also the #1 book of the year in dollars ($1.6 million), bringing in single-handedly 1.7% of the dollars of BookScan’s Top 750! Plus, there’s the hardcover edition, as well, which sells another 5992 copies for $180k. That’s crazy stuff, there. V For Vendetta sold about 15k in 2005 – this is, basically, a good example of the phrase “printing money”. What’s really curious about this to me is that, clearly, the success of V For Vendetta is predicated on the release of the film. Same with last year’s success of Sin City, or this year’s (see below) of 300. And yet 2006 gave us another small art film (Superman Returns), and the bounce on the Superman titles seems minimal, if not downright desultory to me. Example: in 2005 Superman: Birthright sold 2582 copies. Its 2006 totals are 7565. Clearly a gain, and expressed as a proportional one, quite significant, but in terms of the additional absolute number of copies sold, it’s basically inconsequential. Same thing with Superman/Batman v1 (2005, 13748; in 2006 18796) or Showcase Presents Superman v1 (2005: 2724, 2006: 5965). Even the Jim Lee illustrated Superman: For Tomorrow v1 only barely manages to chart with 5410 copies. 2005’s Batman Begins seemed to add anywhere from 8k to 15k to significant Batman backlist – but Superman Returns seemed to barely be able to add 5k to its library. Is this because Superman is a simpler character (ie: read one, read them all? ), or simply isn’t culturally relevant to the 21st century? Anyway, an interesting side effect of V For Vendetta being dragged into the spotlight, is that it seems to have also generically increased Alan Moore’s profile in the book stores – Watchmen also climbs, from some 17k in 2005 to a whopping 37k in 2006. League of Extraordinary Gentlemen also bounces up a bit with v1 doing 5618 in 2005 and 7994 in 2006. Even the DC Universe Stories by Alan Moore collection racks up 5650 copies this year. One other “media impact” title looks to be A History of Violence –which moves 6886 copies this year. While the title didn’t appear to chart in 2005 (when the film was released theatrically), the home video release appears to have moved the needle on this one. DC’s “evergreen” list (the books that have charted every year since 2003) is exactly identical to last years – 13 titles – but performance is a little mixed this time around. There are a couple of gainers (Crisis on Infinite Earths sold 106% of 2005, Kingdom Come 109%, Sandman v1 at 110%, Sandman v7 at 122%), but it’s largely offset by the drops in Hush and Batman Year One noted above. It’s not just CoIE – even some of the build-up to Infinite Crisis made the list: OMAC (5564) and Villains United (5290) both did well in that channel. Both did better than volumes 5-10 of Sandman, for example, which surprises me at least. In a similar mode, the IC tie-ins of Superman Sacrifice (5217) and JLA Crisis of Confidence (5315), also make the list. And the late-in-the-year hardcover of Infinite Crisis (11,350) was within spitting distance of an-entire-twelve-months-of-sale of Sandman v1 (11,540). 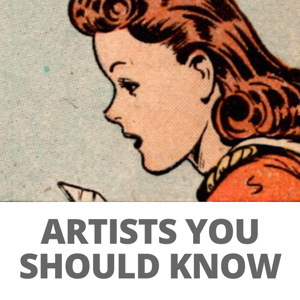 Heck, even three volumes of Teen Titans made the list. It is apparent to me that the bookstore market is, in fact, interested in some percentage of super hero work. Having said that, Vertigo did do better this year than ’05 – the first seven volumes of Sandman (plus Endless Nights) chart. That’s up by two books from last year. In addition, we get three volumes of Fables (plus 1001 Nights of Snowfall), and four volumes of Y, The Last Man (plus Pride of Baghdad). That’s a substantially better placement than we’ve ever seen before. There’s also Absolute Sandman v1, which, while only in at 7k units, becomes DC’s #3 dollar book thanks to that $99 cover price. Odds are that next year won’t be quite so cheery for DC (I certainly don’t expect V For Vendetta to continue to shift those kinds of numbers over the long haul, although the upcoming Minx line could provide a boost), but there’s absolutely no way they can complain about their performance in 2006 – it’s terrific! DC’s #4 book is one I actually have over in the manga category – the 4th volume of Megatokyo. The mean average DC title sold 9342 copies, while the median book was 6854 copies. None of this counts the three DC “CMX” manga titles. DC has one title that tops 50k (V For Vendetta), one that tops 20k (Watchmen), and only 2 that chart under 5k. Marvel, too, did much better in 2006 in the bookstores, versus 2005. They placed 33 titles for 294,852 units and $5.7 million dollars in retail dollars. Marvel’s big 2006 knockout punch is the Halo Graphic Novel, with 32,174 in BookScan sales, and just over $800k in retail dollars sold. For point of comparison, the next highest title is House of M, at 17,365, just over half the sales. Halo is also the #3 dollar book of the entire chart, which is very impressive. Halo’s dollar total is about 14% of Marvel’s total charted dollar sales. So, yeah, they have to be happy with how it did. Marvel’s “evergreen” list (titles that have charted every year since ’03) is now only six items long (Ultimate Spider-Man 1, 2, 6, Ultimate X-Men 1, Ultimates v1, and Wolverine: Origin), but the good news is 5 of the 6 gained on year-to-year. Ultimates v1, for example, did 148% of 2005’s number. Even the dropper (Ultimate X-Men) still sold 92% of the previous year’s total. The third X-Men film, if it had an impact on sales, it’s basically invisible. As noted: Astonishing v1 = down, Ultimate v1 = down. The only thing I can point to as a possible effect would be 6525 on Dark Phoenix, or the 13,602 on Phoenix Endsong, but the former was out of print for a while, and the latter is a new release, so I don’t know. Also a hit in the Bookstore market: Marvel Zombies, with 13,037 sold. Am I the only person who remembers when Marvel comics weren’t even allowed to use the word “zombies” in their comics, and they called them “zuvembies”? Ah, sweet economic revenge! I want to reiterate that, like last year, there’s not a single “digest format” comic on this chart. There’s a general market perception (I’m looking at you Marc-Oliver Frisch!) that the “kids” comics’ poor periodical sales showing in Direct Market is “made up” by the digest-formatted collections in the bookstores. I can find exactly zero evidence of this. Now, this doesn’t mean there’s not some other possible channel (maybe they’re doing muy excellente in, I don’t know, book clubs or something), but they’re not racking up traceable gains via the BookScan reports. Neil Gaiman’s 1602 is now only Marvel’s #7 best-selling title – it rises for the third year in a row (2004: 10,183; 2005: 11,767; 2006: 12,112) – and, again, outsells Sandman. And, once again, this continues to surprise me. Marvel’s core superhero product is largely growing in the bookstore market, and even without a Halo in 2007, I’d expect their BookScan numbers to grow again next year. Civil War, after all, and possibly Dark Tower and some of the Dabel Bros stuff should add well to their bottom line. The median average of a Marvel book on this years chart is 8935 copies, the mean is 7002. Marvel placed only one book over 20k (Halo), but only one under 5k. Another bunch of gains in this “category”. 48 titles place for 486,135 pieces, and $8.3 million retail dollars. Lots and lots to talk about in here, because this is the Defenders of categories – it’s not really a category at all. The obvious stuff, first: Best-selling book in this category? Persepolis v1 with 28,796 units (v2 sells 10,119, a surprisingly harsh drop), making it the #5 non-manga title for the year. That’s an excellent performance, but it makes me puzzled about last year’s chart. In 2004, Persepolis did 26k, but it was nowhere to be seen in 2005. It could have fallen below the end-of-week threshold last year, I guess, but I’m at a loss for any other explanation. Either way, good gains from 2004, and that’s positive news. The real big news for me personally, is that we can now see the Scholastic books, including Jeff Smith’s Bone. I’m suspecting that they had been previously miscategorized, because sales roar in with 25,730 for v1, 18,371 for v2, 27,392 for v3, and 22,280 for v4. If you add in the additional 8441 copies that Smith’s Bone One Volume collection sold, that’s over 100k for the year in one channel alone. Because of its price tag, the One edition brings in nearly 50% more income than the best-selling color volume. Scholastic also sells 9843 copies of the first Babysitter’s Club comic, and 7465 copies of the first Goosebumps volume. I’d love to know how those compare to current sales on the prose books, really. Dark Horse has another decent year (adding the 17 books here to their manga business gives them $4.1 million in business for the year), but after the “movie year” last year for both Star Wars and Sin City, there’s a big come down. The seven volumes of Sin City collectively sold 185,713 copies in 2005. In 2006, only six chart, for 37,425 copies total. That’s a real severe drop, of course, but those are still perfectly credible numbers and should be recognized as such. Star Wars licensed titles faced a similar down turn – in 2005, Dark Horse placed 88,978 Star Wars comics sold, between eight titles. 2006 makes that only 38,863, over seven titles. Image places exactly one book on the chart – Walking Dead v4, with 5311 copies. None of the other volumes chart, but in ’05, v1 sold 4152 copies. Top Shelf has the dollars success with Lost Girls, as I mentioned above (8691 copies), while their perennial Blankets holds on with 6028 copies sold, down a bit from 6654 in ’05 and 6882 in ’04. Also perennial, Slave Labor gets their traditional sales of Johnny The Homicidal Maniac (9276), and Squee (5353). Both are down a bit from last year, but those are still enviable sales. Fantagraphics charts the Complete Peanuts 1955-’58 box set again, with 4961 copies, down from 9225 in ’05, but not a blessed other thing, including any current single volumes of Peanuts. Remember, in ‘04 v1 of the series sold over 25k copies. Have the later releases of the series really dropped off that much, or is there something else going on? If it’s a legitimate drop-off, how can that be? Chris Ware’s two books have dropped off, so no Acme anything to be found. Rabbi’s Cat and the R. Crumb Handbook also vanish after strong performances last year. We do see Charles Burn’s Black Hole , however, which drops a bit with 6240 copies sold (it was 7460 in ’05). Finally, after being missing for as long as I’ve been doing this, Maus appears. 19,769 copies of v1, 11,696 copies of v2, and another 11,072 copies of the boxed set of the two. I think these must have been classified as something else in previous years, because those numbers don’t make any sense, otherwise. Alison Bechdel’s Fun Home launched with 20,129 copies. I think I find that a disappointing number (especially relative to something like Persepolis) because this was a major launch, reviewed extremely well (Time named it “Book of the Year” for crying out loud! ), and it had an extensive marketing push (we received this elaborate fold out brochure with a DVD [!] when they sent us an advance galley – and it’s rare to receive galleys in the first place as a retailer!) It’s possible, as it always is, that the stores most likely to sell the book may be a “specialty” channel, and not reporting to BookScan (I’m thinking about LGBT focused stores in this case) – but in the “mainstream” book market, I was really expecting a number in the low 30s, if not the 40s. Also with what I would call a disappointing performance, the third volume of Flight (the first one from Ballantine) sells a scant 4993 copies. Its hard to see how a full color thick anthology like that can even be breaking even at that kind of a number, assuming they’re paying any one to create the work in the first place. Scott McCloud’s Making Comics debuts with 12,881 copies which seems pretty reasonable for what’s more or less a textbook. No sign of Understanding or Reinventing, though, so not sure what’s up with that. The Harvey Pekar edited Best American Comics 2006 comes in at 12,859 copies. I have no idea what other Best American… volumes do, but for an anthologized survey book, that seems like a pretty terrific number to me. Also charting in the “other” category are two volumes of W.I.T.C.H. (v1 at a big 9487, and v6 at 5525), v1 of Tintin in the 3-in-1 HC format (5975), and the out-of-left-field Manga Claus at 5658 copies. Finally, we have our obligatory things-that-are-not-comics on the list, with the we-see-it-every-year Bloody Crown of Conan which, hey, they sell 5265 copies of. We also get a Madagascar board book with sound chips for 4 year olds, hurray! Only four “everything else” books sold under 5k copies. Six sold over 20k. And that’s pretty much what BookScan in 2006 looks like to these eyes. To confuse things more, Diamond doesn’t even provide “order index” figures for their year-end reports. Just a straight list with no numbers attached. Diamond’s year-end reports are available here on Newsarama. Follow these links for 2003, 2004, 2005 and, our subject this time, 2006. 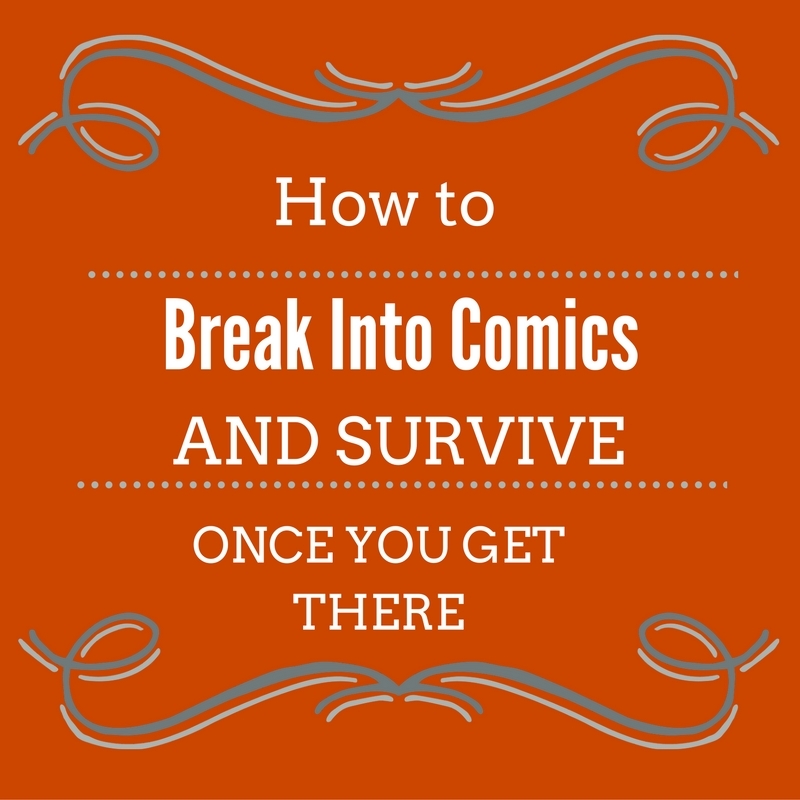 Another problem is that Diamond’s lists are relatively short – only the Top 100 for both comics and books. That’s not really enough to judge a 750-item-strong list against. Still, there’s a certain amount of figuring it out that can be done. It is possible to sum up ICv2’s reports and draw certain conclusions from there. For example, the #94 book on Diamond’s 2006 book list is Fruits Basket v15, which was released in December. It charted, according to ICv2, at 7019 copies. Therefore the bottom of Diamond’s chart is right around the 7k mark. The top of the chart? A little trickier. The #1 book is V For Vendetta, and it charted as a Top 100 TP for nine of the twelve months of 2006. We can positively show 31,861 copies sold. There could be as many as 3651 more copies that sold in the “missing” months, so I think it’s probably safe to say that V For Vendetta sold 35k in the DM (add another 10-15% for the UK, too). The #2 book for the year, Marvel Zombies, tracks in four of the five months it was released for 22,462 copies. #3 is Fables: 1001 Nights of Snowfall which tracks for all three of its three release months for 20,920. At #4, Serenity, we start running into problems – it only tracks for four of the twelve months it has been on sale, and we can sum those up to 14,061 copies bought. However, book #6 (The Halo GN) only appeared on four of the six months it could have, and sums to 19,921, which means Serenity had to have done over 20k, so it’s underreported by around a third! In fact, it’s possible (if vanishingly likely) that a book on sale all twelve months of 2006, that came it at place #101 each month, could have sold 13,342 copies – that’s the sum of place #100 each month, minus twelve copies. The first place this effect shows up is #19 on the year end chart – New Avengers v1: Breakout TP. This book doesn’t show even one time on any of the twelve individual monthly charts of 2006. Yet, it absolutely had to have sold over 12,641 copies, because that’s what we can track for year-end book #24, Y, The Last Man v8. In my heart, I’m convinced that either ICv2’s analysis (and CBG’s for that matter) has some math error (perhaps from the small percentage-of-Batman that Diamond uses as their base figure), or that Diamond’s year end Top 100 measures things somewhat differently than the month-to-month ones do. I can’t prove it, however, because the data set we have is too small. I really wish Diamond would start releasing the TP data out to 200 places rather than just 100. Basically, there are only a few data points that I can feel comfortable about, where there is enough month-to-month data to judge them accurately, and several of those few points hinge on Walking Dead, which had a remarkably dependable charting for most of its five volumes. #9 (v1) is about 18k, #13 (v4) is around 16k. I also feel OK about #24 (Y, The Last Man v8), at around 13k, #38 (Fables v8) at around 10k. After that we drop down to #69 (Family Guy v3 – though, really, that should be under the comics part of the chart!) at around 9k, then all the way down to #94 and Fruits Basket v15 at 7019. Other than that, there’s not a calculation that I can make, outside of the Top 10, where I’d be willing to stand up in court. 9 of the Top Diamond 100 are manga. 50 of them are from DC, 25 from Marvel. Again, this doesn’t mean very much with only a snapshot of 100 books, but there you are. Perhaps more intriguingly, only 47 of the Top 100 are corporately-owned superhero comics. The big winners for the year, in my mind, are Fables (where all eight volumes, and the OGN charted), Y, The Last Man (again, all eight make it), and Walking Dead (all five). All of those did substantially better in the DM than in the Bookstores. 1001 Nights of Snowfall, for example, only charted 7415 copies via BookScan, while the DM can show 20,920 copies bought – nearly triple! One other thing we can’t really gauge the impact of because the charts don’t extend far enough is how much “Direct Market” business is actually flowing to other channels, because of either price or availability issues. On the latter, Diamond is really quite spotty when it comes to having stock-on-hand for non-brokered publishers. Even on obvious sales no-brainers like a Naruto (for which pricing is much better buying as a DM store from Diamond), there are many many weeks of the year where we’re forced to go to Cold Cut or Baker & Taylor because Diamond just doesn’t have the stock. Then there’s the other hand of things – the Pantheon’s, the Ballentine’s, the Drawn & Quarterly’s – where the pricing from Anyone But Diamond is so much better you’d be a chump to buy them via DCD. Diamond is kind enough to give me a few more data points each year, so we can track some other metrics of how the DM is functioning. While I (and probably you, too), tend to separate things into two channels (Direct Market and Bookstores), Diamond actually has more than a dozen different ways of identifying customers. Because of this, there may be some amount of variation between one year’s data points and the next. That is to say that these numbers aren’t audited, and should be viewed with a small amount of suspicion. The first thing I always want to know is “how many DM stores are there?” While this is a fluid calculation (for one of many examples, if a chain store consolidates multi-store ordering into a single order form, that is opaque to this snapshot), we’ve set on using the number of accounts turning in a monthly order form for the month of September as our benchmark each year. In 2003 it was 3300 order forms. In 2004, it was 3275 order forms. In 2005 it dropped to 3200. In 2006, it rose back up to 3300 order forms submitted. That’s a great sign – after 2 years of shrinking numbers, it’s begun to rise. I very much think this is of major concern to the Direct Market – we’re mostly held back by our penetration of the market, so to see it rise again is a great relief. I also ask Diamond to pull the number of stores ordering backlist items from Diamond’s “STAR” system for September of each year. My theory with this data point is that stores doing a healthy business in book format comics have to be doing regular restocks via STAR, rather than waiting for the “slow boat” of reorders shipping through the regular frontlist monthly orders. This “STAR penetration” figure was 1800 accounts in 2003, 2275 accounts in 2004, 2400 accounts in 2005, and, finally, 2800 in 2006. Since Diamond’s publicly-presented charts don’t include this kind of information, I also ask what overall growth looked like. For comic books, I’m told that Diamond showed a +12.5% growth in dollars sold, and +6% growth in pieces. The big discrepancy between dollars and pieces is largely down to the increase to most standard format comics to $2.99 in 2006. So, yeah, I continue to be bullish on the Direct Market. The stats show, despite an enormous amount of competition, we’re at least holding our own, even while we continue to be the bigger market for comics and graphic novels overall. That’s what 2006 looked like to me. What do you think?